Every marketer is bombarded with the promise of social media. It’s the great marketing tool designed to lead your business to the Promised Land. Is that the social media myth? Insurance companies and banks all have active Facebook and Twitter accounts manned by staff eager to engage monitored by compliance teams’ eager for the business to say as little as possible. I am not saying social media does not have a place in your business. If I was, I would be in the wrong business. However, I am saying that many businesses are wasting their time with social media as it is currently being used. Social media is essentially a digital way for us to communicate and share information with other people we have a connection with. That is what a “social” tool is. But along came large enterprises that saw millions of online users and decided they have to find a way to exploit the platforms to broadcast their corporate messages. Big business tries to hijack social media to deliver their marketing messages. The trouble is, that’s not what social media was designed to do and is why social media is a brilliant tool for small firms. Social media works by delivering people to people messages. Now as part of that, you may want to share some business-to-person messages, but they must be sincere. And to make sure they are sincere, they are shared by the social media accounts that have a real connection. In other words, they know you. Daily engagement comes from listening to your clients and taking part in their conversations. Setup private Twitter follower lists or a social media management tool like HootSuite if you use it. Follow your key clients or referral partners and comment on what they have to say. Share genuine news about your business. I don’t mean the corporate message that a large enterprise would post. Tell your followers who in your business is having a birthday, maternity leave. We all belong to multiple communities, our families, where we live and work, our children’s schools or sports clubs. Post about these communities, show your customers you’re not just all work work . Share other people’s content. If you see a fabulous picture, interesting article or just something someone you follow has posted that’s great – then share it. Make sure your content is timely. Respond to events being discussed and offer an opinion or some insight may not have been shared. Keep it positive. Start conversations by asking questions, or answer questions. Social media is a game-changing business model when it is based on person-to-person social networking and communication. Social media works when you provide substantial and meaningful benefits to those that also participating. Successful business social media needs a two-way dialogue. That can only happen when you engage with your customers. 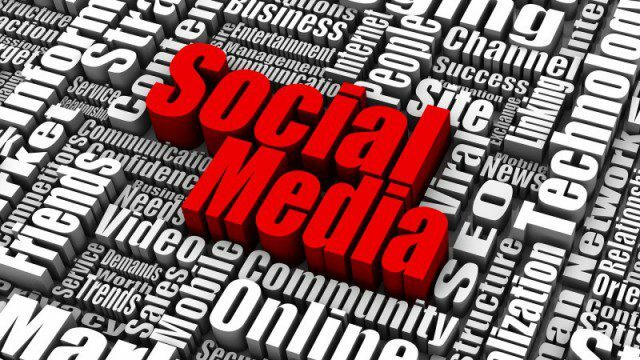 Check out our recent webinar: Social Media 101 which can be found on our Facebook page. To find out more about our services or request a pricing guide, please contact us.